D’juan Hernandez, a New Orleans attorney and businessman, spent less than a year as head of a struggling local charter school called Milestone Academy. But he managed at least one significant accomplishment before resigning last month: racking up $13,000 worth of expenses on a school credit card, including $4,000 in payments to Tulane University, where his daughter attends, and $500 for plane tickets to Florida, where his family vacationed. On the night of the Zulu Ball — his daughter was a maid in Zulu’s court — he racked up a $687 bill at Sweet Lorraine’s Jazz Club on St. Claude Avenue. Other big-ticket items included a $224 bill at the Smith & Wollensky restaurant in Miami Beach, Florida, and hundreds of dollars on upgrades to first-class flights. Tessa Jackson, president of the nonprofit board that governs Milestone, says that Hernandez obtained an American Express card in the school’s name without getting approval from the board. Meanwhile, a spat has broken out between Jackson and the Louisiana Department of Education over who is to blame. Jackson claims that state education officials, including the department’s head of monitoring, Patrick Walsh, foisted Hernandez on the school’s board after threatening to shut the school down. Related: How meaningful is school choice in New Orleans, the city of charters? Whatever the case, Milestone was in a jam when it hired Hernandez as an interim CEO in July of 2014. All sides agree that state officials began to work solely with Hernandez — bypassing the board — after his appointment as interim CEO. While Jackson doesn’t believe the Louisiana Department of Education knew about the questionable charges, she says that well-connected Hernandez – a former candidate for Orleans Parish School Board superintendent and the brother-in-law of state senator Karen Carter Peterson – felt like he was above the rules because of the favored treatment he received from big players at the education department. The dispute raises broader questions about what the role of the state should be in the administration of charter schools, and who ultimately calls the shots: the state department of education or the board — especially at schools like Milestone with less-than-stellar performance. The school’s board had just parted ways with Sabis, the for-profit school manager that had been running Milestone since its inception a decade ago. The school itself was hopscotching from one building to the next, from Uptown New Orleans to Gretna to Old Jefferson. Its academic performance had been hovering at a “D” for years, and state officials were threatening to revoke the school’s charter. That would have given its 350 students little time to find a new school. There had been talks aimed at joining the Algiers Charter Schools Association, so the school could remain open, but they had fallen through. At the time, Hernandez was serving as attorney for Milestone’s board. 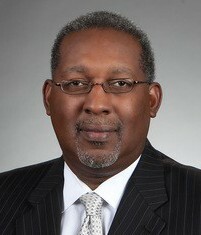 He was also on the board of the Algiers charter group. His name came up at one point on a short-list of candidates to serve as superintendent for the Orleans Parish School Board. On July 15, 2014, Milestone brought Hernandez on to serve as interim CEO on a contract basis, agreeing to pay him $12,500 a month. He signed an agreement promising to secure the school a building and set up a hiring process for a new principal, among other things. Jackson said state officials were keen on the Milestone board hiring Hernandez, though she acknowledged that he was on their own list of potential interim leaders. In November, according to emails provided by Jackson, Hernandez had the school’s business manager provide the financial statements necessary for him to open the American Express account. By the close of the January statement, Hernandez had racked up a $6,000 bill. Jackson says she found out about the American Express when the credit card company called the school and demanded to talk to “the person who pays the bills.” She said the business manager got the statements on the morning of June 10, 2015 and that they forced Hernandez to resign that day, then told state officials about the spending. Both Milestone and Hernandez said the American Express card was paid off with money withheld from Hernandez’s pay. Hernandez says he resigned for other reasons. At a meeting of the state Board of Elementary and Secondary Education last month, John White proposed that his department conduct an independent audit of Milestone’s board policies and procedures, citing Hernandez’s spending. The action was taken up last minute and Milestone wasn’t notified that BESE would be taking any action against the school. Jackson says that this is another example of the state undermining the authority of the Milestone board. Jackson argues that state officials are unfairly laying blame on the board, and that they should have stepped in with help sooner if they thought Milestone was struggling. One of the major issues with charter school scandals in the US is that there is not sufficient oversight to stop the scandal before it becomes, well, a scandal. Perhaps Brown’s gracious advocacy for the remaining 74 million (those not already shafted by Brown’s associates) could help. And Campbell’s PR guy, Stefan Friedman, is right: The public will “see for themselves” whether reports on the proliferating charter school scandals make any beyond-cursory appearance on The Seventy Four. It’s a challenge, Campbell. Will you swing your highly-publicized, for-the-children indignation in the direction of your native Louisiana? 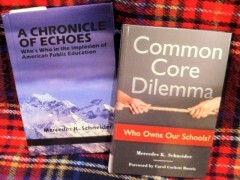 Not as telegenic as Brown but still pretty good looking, Schneider is a southern Louisiana native, career teacher, trained researcher, and author of the ed reform whistle blower, A Chronicle of Echoes: Who’s Who In the Implosion of American Public Education. 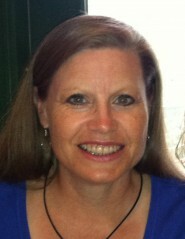 She also has a second book, Common Core Dilemma: Who Owns Our Schools?, newly published on June 12, 2015.